The extreme right-wing candidate Jair Bolsonaro was elected Brazil's president on Sunday in a victory that hands him a powerful mandate to enact a series of sweeping changes to the country's political, economic, social, and environmental order. His victory represents a profound setback for human rights and ecological preservation in the world's fourth largest democracy, with implications for the entire planet, particularly global climate stability. 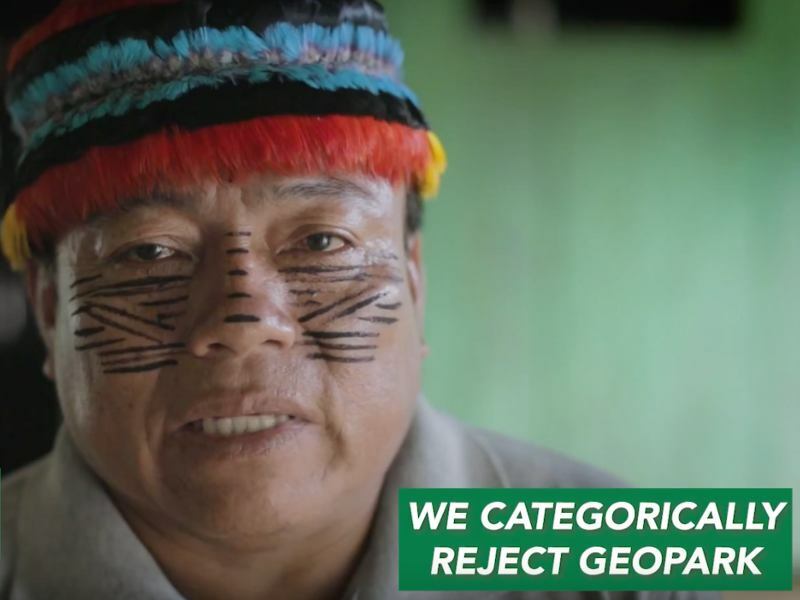 Now more than ever, Amazon Watch will redouble its work in solidarity with our embattled partners, from remote communities in the Brazilian Amazon to national organizations. 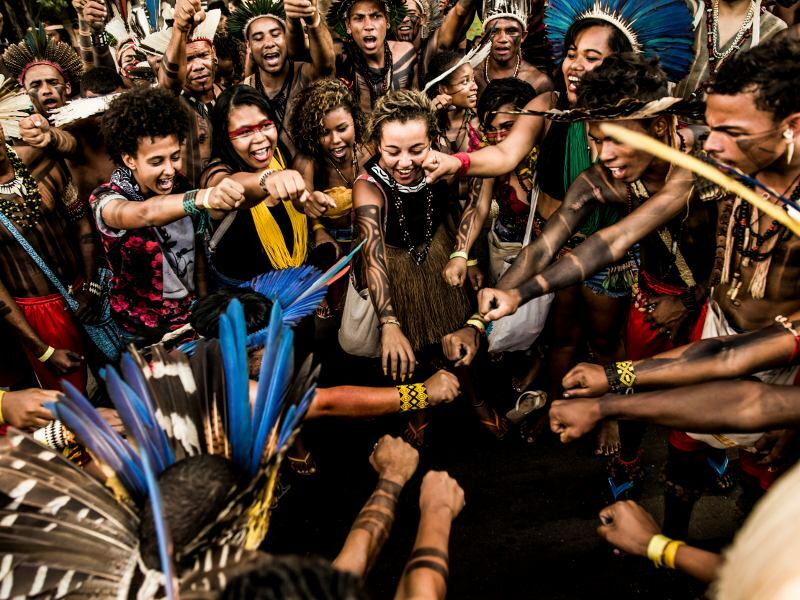 Together, we shall power a resistance movement against the abomination of Jair Bolsonaro, forging solutions in defense of the rainforest's irreplaceable ecosystems and cultures. Great News for Earth Defenders! Finally, we have some good news to report: Latin American and Caribbean countries are lining up to ratify a new treaty requiring stricter protections for the environment and for Earth Defenders! In recent months Amazon Watch worked to publicize the Agreement's importance and organized our supporters to push for its ratification – a big THANK YOU to those of you who took action with us! 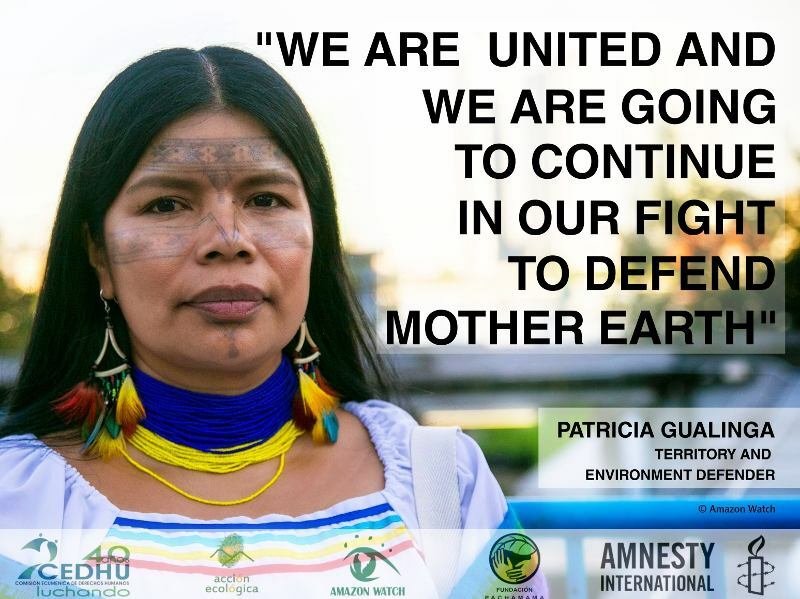 "I come from the Amazon, and my people have long defended the rainforest from threats like oil drilling, which would destroy our forest home. We know that a majority of oil exported from the Amazon comes to California to be processed, also harming the communities near refineries and contributing to global climate change," said Mirian Cisneros, current president of the Sarayaku. "We are here because 2.5 million acres of our forests are being negotiated behind our backs. Our forests are not just carbon," said Marlon Santi of Sarayaku. "Allowing oil companies to continue to pollute while using the forests we have protected for millennia as carbon sinks without our consent is not a climate solution." Ilegal loggers and militias cleared an area three times the size of Gibraltar in Brazil's Amazon this year, threatening an "uncontacted" indigenous tribe. Last April, a Canadian ayahuasca tourist rode a motorbike into the Amazonian township of Victoria Gracia, sought out the venerated 81-year-old Shipibo healer Maestra Olivia Arévalo Lomas, pulled out a gun and shot her dead. The fallout from the murder is emblematic of a common problem, what we are framing as spiritual extractivism.